The Flaming Gorge Fish Derby was established in 1984 to not only let sportsmen vie for large cash and prizes but to help the local area businesses kick off their summer season with some much needed tourism funds. This event established in 1984 under permit by the USFS started out hosting 300 teams. Lucerne Valley Marina hosted a record 377 three person teams competing for over $90,000 in cash and prizes fishing for Lake Trout, Rainbow and Brown Trout, Kokanee Salmon, Smallmouth Bass, Catfish and a new category: Burbot. Prizes included two Polaris ATV's, two Merc trolling motors, firepits, YETI coolers, fishing, camping and hunting gear. Contestants came from Colorado, Wyoming, Idaho, Utah, California, Virginia and as far away as Australia. The Flaming Gorge Fish Derby is quickly becoming the largest inland water fishing events in the USA. Though the prizes were big the fishermens' hearts were bigger. Team 186 made up of Brandon Johnson, Travis Reginek and Jeff Jones won the "Most Honest Fishermen" award. They weighed in a Kokanee Salmon but it was accidentally recorded in the Brown Trout category. That error put them in the #1 place for $1700 for Brown Trout. As the awards ceremony was starting Brandon rushed in to notify Derby officials of the mistake and withdrew that fish so that they would not be awarded 1st place. Brandon stated, "none of us could have slept taking that trophy and money for a fish we didn't catch, karma would have caught up to us." Instead the Derby awarded them $200 for their honesty and a free entry into the 2017 event. The FG Fish Derby is also a platform for helping fund the Hand in Hand Outdoors American Hero's camp located in Manila . The camp and boat are used to provide veterans and disabled children with free fishing and outdoors activities. 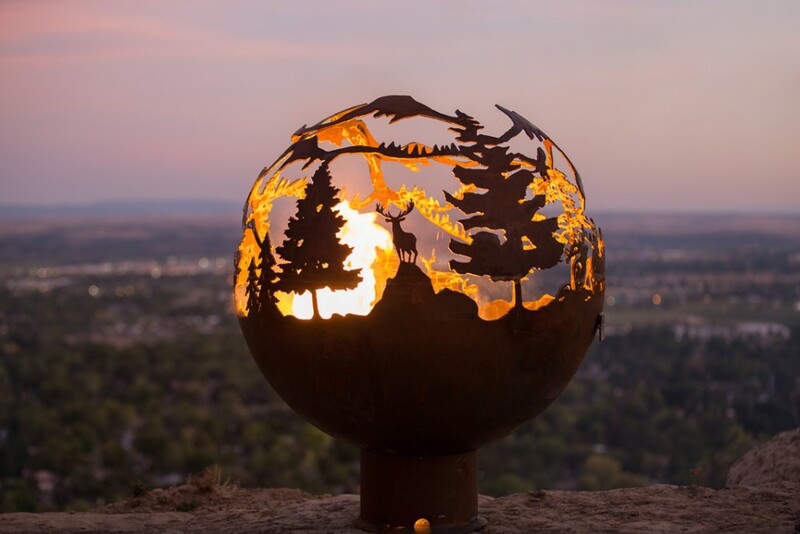 A Big Sky customized firepit is given out each year valued at $1600.00. A young man from Rock Springs won the prize. Two Daggett County Lion's Club members who were helping with the Derby purchased the firepit from him and donated it to the American Hero's camp so our veterans can enjoy camping around a warm fire during their stay here. We were notified by Hand in Hand Outdoors that Troy Meier, Treven & Kyler Martinsen from Team #277 donated all their winnings from the Derby to the veteran's camp. Troy won $1700 for the 1st place Rainbow and Kyler won $300 for 3rd place in the Youth division. Troy stated, "It was our opportunity to give back, we saw the veterans up there and what they've been doing. It's a great cause." He stated that they try to donate throughout the year to support the troops and his grandkids understand the value of doing so.